Amid mounting tensions between Israel and Hamas along the Gaza border, Egyptian intelligence officials are considering withdrawing from the delicate diplomatic efforts to restore calm to the Gaza Strip and to mediate inter-Palestinian reconciliation. Efforts to reconcile rival Palestinian factions Hamas, which rules Gaza, and Fatah, which controls the Palestinian Authority, have been unsuccessful over the last decade, since Hamas violently routed Fatah from Gaza in 2007. A Hamas delegation headed by deputy political leader Saleh Arouri and a delegation of senior Fatah representatives were in Cairo last week for another round of meetings with senior Egyptian intelligence officials and were supposed to stay there for several days, but departed after a mere 24 hours. A senior Egyptian defense official told Israel Hayom this was the reason for Hamas’s decision to intensify its weekly riots along the border with Israel. “If Egypt ceases its involvement in the talks, a military confrontation will very likely erupt in Gaza. Hamas will direct the pressure at Israel,” the official said. He added that Israel and Egypt have been coordinating their recent diplomatic steps. 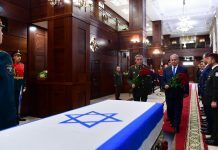 The official also said the plan formulated by the Egyptians was supposed to consist of several phases, the first of which was a ceasefire, and reduced tensions between Israel and Hamas along the Gaza border. If the ceasefire held, the second phase would begin, in which Hamas and Israel would implement a prisoner exchange in which Israel would receive the bodies of fallen IDF soldiers Oron Shaul and Hadar Goldin and information on two missing Israelis, Ethiopian-Israeli Avera Mengistu and Bedouin Hisham al-Sayed, who crossed into Gaza voluntarily in 2014 and 2015. At the same time, hundreds of millions of dollars would be transferred to Gaza for the rehabilitation and improvement of infrastructure and civilian projects. The Rafah border crossing between Gaza and Egypt would also open on a more frequent basis and Israel would ease other restrictions, including on Gaza’s fishing industry. The third phase would be determined action to implement Hamas-Fatah reconciliation and the transfer in stages of civil control of Gaza to the Palestinian Authority. According to the plan, members of Hamas’s military wing and other armed factions in Gaza would disarm and their members would be integrated in the P.A.’s police force and other security forces. In Egypt, officials pointed a finger at P.A. 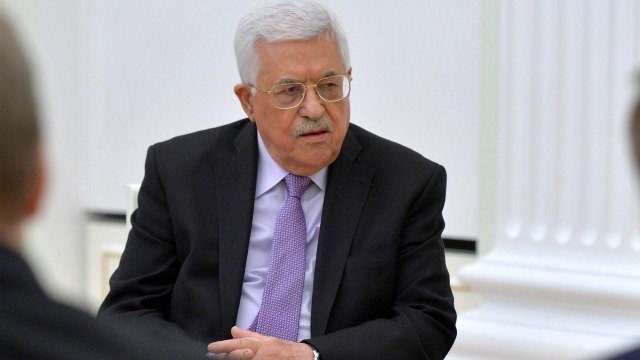 leader Mahmoud Abbas, accusing him of deliberately torpedoing the plan devised by Egyptian General Intelligence Service head Maj. Gen. Abbas Kamel and his people. “While Hamas was ready to discuss the plan up to the phase where its military wing would have to disarm, Abbas refused to even listen to it and asked [Egyptian President Abdel Fatah El-Sisi] to shelve the plan immediately,” the Egyptian official told Israel Hayom. Meanwhile, dozens of incendiary balloons were launched from Gaza into Israel over the weekends, sparking seven fires on Friday and four more on Saturday. Shimon Barak, a famer in the Eshkol region in southern Israel, said his children saw the incendiary balloons land near the family’s greenhouses. Some 20,000 rioters and demonstrators gathered along the Gaza border fence on Friday, hurling explosive devices and grenades at IDF soldiers. They also burned tires and some breached the border fence. IDF forces responded with riot dispersal measures and followed the army’s rules of engagement. IDF aircraft carried out two attacks in northern Gaza.